The Council for Hearing Instrument Specialists safeguards the health, safety, and welfare of Tennesseans by ensuring that all that practice the profession of dispensing and fitting hearing instruments are qualified. Information regarding licensure, board meetings and minutes, as well as other relevant information can be found here. Any questions should be referred to Teddy Wilkins, Administrative Director for Health Related Boards. Phone: (615) 532-7695. Fax: (615) 532-5369. 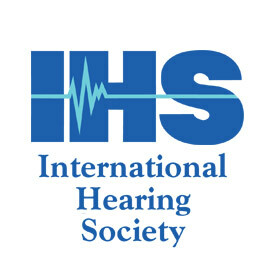 The International Hearing Society (IHS) is a membership association that represents hearing healthcare professionals worldwide. IHS members are engaged in the practice of testing human hearing and selecting, fitting and dispensing hearing instruments and counseling patients. Founded in 1951, the Society continues to recognize the need for promoting and maintaining the highest possible standards for its members in the best interests of the hearing impared it serves.